NEW: Ghost Nose - Folija! Thread: NEW: Ghost Nose - Folija! A drop of essential patchouli oil falls silent from above, crashing over an oud wood body and sliding into the smooth paths of its grooves: so the dances of a visionary choreography open up that just looks like a dream but that, with its impalpable perfume, soon becomes reality. A reminiscent cedar note keeps alive the sensual steps of the essences that, resting occasionally on a bed of gray amber, never cease to follow the invisible rhythm of transgression." - a note from the brand. Follja was launched in 2017. Re: NEW: Ghost Nose - Folija! Sounds just right for the cooler weather. NEW: Ghost Nose - Artemesia! NEW: Ghost Nose - Scent Of Bali! 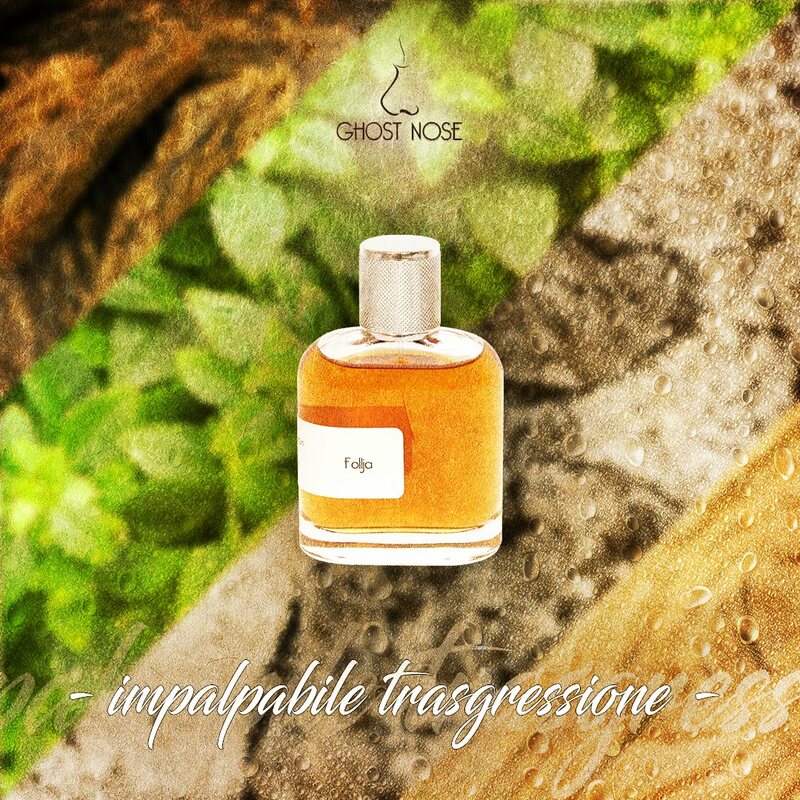 NEW: Ghost Nose - My Oud! NEW: Ghost - Ghost Sweetheart Forever For Women!